8) egg salad is only minutes away! For the latest research on eggs from Prevention Magazine, click here. 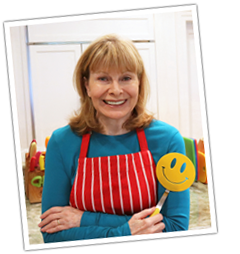 For my video on how to boil eggs, click here. 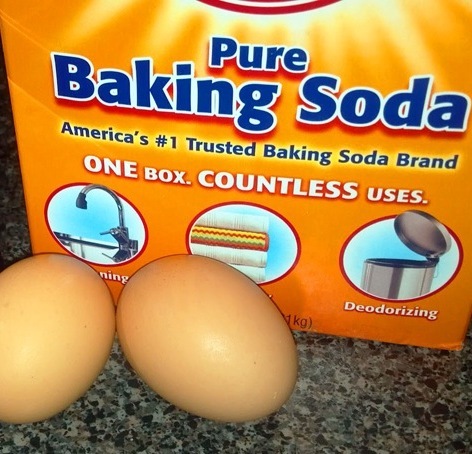 14 Comments on "Hard boiled eggs made easy to peel"
The baking soda thing doesn’t work! You’re so lucky to have fresh eggs. I once had a friend with chickens and used to get eggs from him and I agree, there’s a big difference. I think the reason that fresh eggs when hard-boiled are difficult to peel is because there is no air inside the shell. When eggs stay around a while, some of their moisture escapes and creates a bit of an air pocket inside the shell and that’s what makes them easier to peel. I suspect that baking soda might shrink the inside a bit for the same result. I would try not boiling them too soon. Use your freshest eggs for other cooking but keep some aside (refrigerated) to give them time to lose a bit of moisture and then try boiling and see if it helps. That’s about all I can think of. I also raise chickens and for years have looked for ways to easily peel boiled eggs. I get brown eggs fresh everyday!!! I’ve tried it all but I must say the baking soda works like a champ!!!! I put eggs in cold water add the baking soda and boil for 35 min because I boil about 12-18 eggs at once. As soon as boiled I drain the hot water and start peeling immediately under cool water and not one of my eggs mess up as I peel them!!!! Good luck y’all!!!!!! When peeling, if you crack it on the rounded end there is an air pocket where the membraine remains on the shell. It will normally come off it in one piece. That’s great information JJ. We always eat hard boil eggs. When I make them, they are easy to peel. When Mike does, for some reason, the shells crack and you lose so much of the egg 😉 After I boil them in water for 25 minutes (a full dozen) I run them under cold water and let them sit in the water. After they cool off they are perfect to peel. 25 MINUTES!!! Holy cow. Are you using Ostrich eggs?